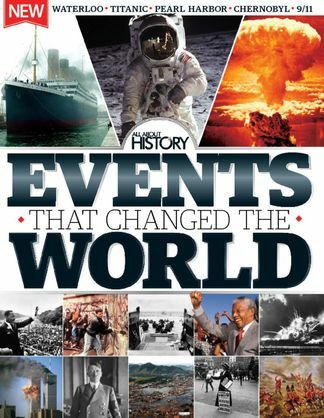 50 events that changed the world - The key moments in history that shaped the world we live in today. Assassinations that shook the world - From Lincoln and Archduke Franz Ferdinand to conspiracies about JFK. Disasters that defined a generation - Examine the causes and effects of events such as 9/11, the World Wars and more. Iconic events and inspirational moments - Learn how man walked on the Moon, and the dream of one man to unite a nation. Be the first person to tell us what you think about All About History Events That Changed The World and you'll save $5 on your next purchase!